T-Mobile USA, Inc. today announced the upcoming, exclusive availability of the new Garminfone™, the first Android™-powered smartphone fully-integrated with Garmin’s premium navigation experience. Anticipated to be available later this spring, Garminfone is a sleek, full-touch 3G smartphone with a large 3.5-inch screen integrated with Garmin’s robust navigation experience for fast and reliable navigation from the middle of town to the middle of nowhere — and back. Integrated Navigation + Smartphone Experience: Garminfone delivers navigation capabilities beyond what other smartphones and standalone navigation devices provide. Customers can navigate to an address simply by clicking on it from a text message or e-mail, contact, calendar appointment, or web page. Garminfone can even remember where you are parked and navigate you back to your car. The 3-megapixel camera with autofocus automatically geotags images so you can navigate back to where your family vacation photos were taken, e-mail geo-tagged images to friends and family members, or post geo-tagged pictures on the Web for others to enjoy. Helpful Garmin travel applications such as dynamic, real-time traffic; weather local events; movie listings; and gas prices are pre-installed and easy to access and use. Garmin Navigation: Driving, walking and public transportation navigation with voice and on-screen directions and automatic re-routing are deeply integrated into the smartphone features of Garminfone to simplify navigating your daily life. On-board North American maps offer fast and reliable directions — whether in or out of cell phone coverage — and multiple overlapping positioning technologies ensure Garminfone customers have one of the best location and navigation experiences a smartphone can offer. In addition, Garminfone utilizes text-to-speech technology to speak street names,and the screen automatically switches between day and night modes for easier viewing while driving. Garmin Voice Studio: Garminfone is the first to feature Garmin Voice Studio, an Android application, which allows customers to record and share custom voice directions from family and friends. Garminfone also includes a convenient charging window and dashboard mount, enabling customers to easily navigate and charge the phone’s battery simultaneously. 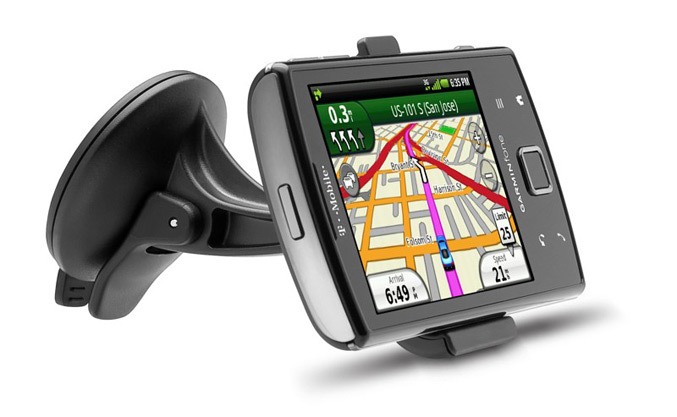 In addition to the comprehensive navigational features, the Garminfone is built on the Android operating system offering a rich mobile Web experience with integrated Google™ mobile services including Google Search by voice, Google Maps™, YouTube® and access to Android Market, where customers can find thousands of applications to further enhance their travel experience and their daily lives. The mobile Web browser experience includes enhanced functions including pinch and zoom capability and embedded location awareness which links information found on the Web to navigation and mapping functions, allowing users to navigate directly to a location from a Web page. The powerful mobile data experience Garminfone delivers is supported by fast data speeds via Wi-Fi and T-Mobile’s nationwide 3G network. Garminfone also offers essential smartphone features such as easy access to personal and work e-mail, including support for Microsoft® Exchange e-mail, contacts and calendar; social networking; instant messaging; an advanced music player; and a 3-megapixel autofocus camera. 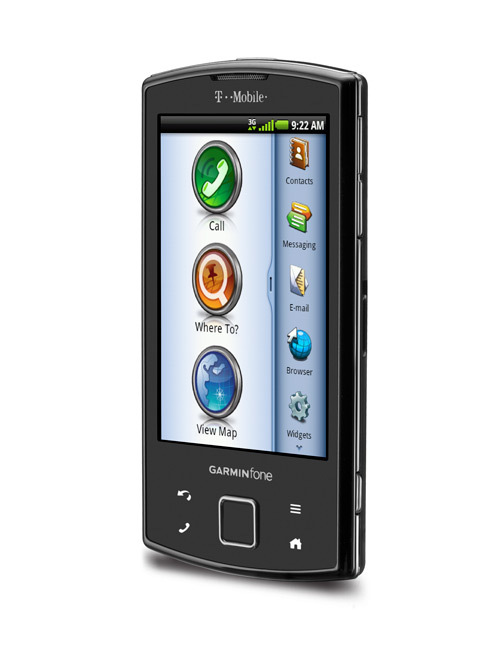 Garminfone is expected to be available in the U.S. exclusively to T-Mobile customers later this spring. Fujifilm are extremely proud to announce the launch of a groundbreaking new imaging technology: the "FinePix Real 3D System".